​Dynamic, assertive, powerful and poised, San Francisco’s Deafheaven have announced a run of anticipated Australian club shows for June, complementing a coveted slot on Sydney's 2016 VividLIVE program. Deafheaven occupy a curious and oft-divisive space between being an ambitious outfit and playing proudly complex, niche music. They are evidence that these qualities need not be mutually exclusive. In five years they have become easily one of the most successful acts to spring from the genres they embrace. Their sound is intoxicating, deft musicianship firmly engendering the quintet as one musicians will endlessly deconstruct, and one laypeople merely marvel at. The atmospheric diversity of their sound has only become more intense across their three acclaimed albums. Thematically centred on false promise, displacement and the all too frequent let-downs of achieving one’s aims, 2015’s New Bermuda album saw Deafheaven ascend to new heights and claim glittering critical acclaim. New Bermuda thoughtfully segues from sonically referencing My Bloody Valentine, to Morbid Angel to the early 4AD catalogue, delivering an overall experience that is fascinating rather than fatiguing. In embracing both harmony and discord so fully, Deafheaven are an utterly unique musical experience. Their all-encompassing live program will swallow you whole, and anybody privileged enough to have caught this incredible act live will attest to their ferocious live capabilities. 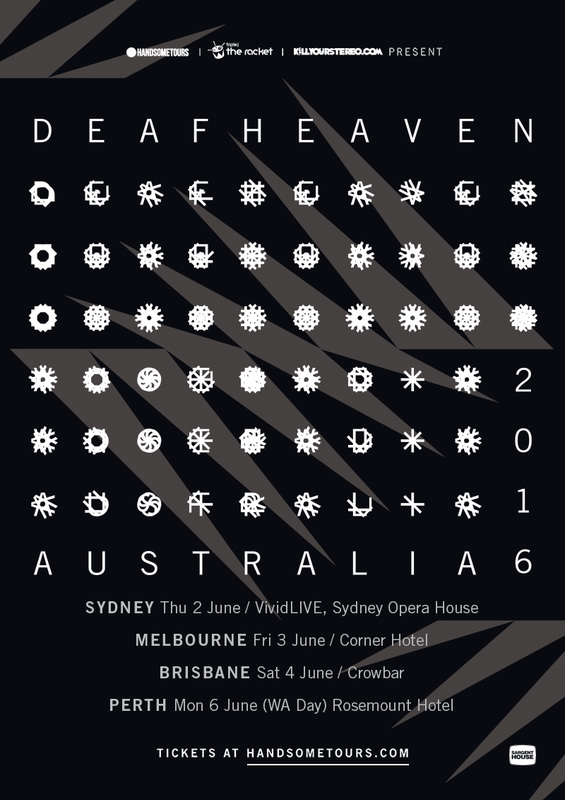 Deafheaven will make a Sydney appearance on the world-renowned VividLIVE program. The band will reign fire down on the Opera House. Conversely the intimate nature of their headline club shows promise an utterly overwhelming live experience. Come this winter, be enveloped by Deafheaven.